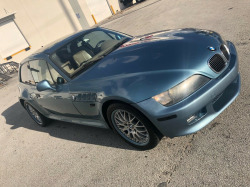 This is my attempt at a complete listing of all 1999-2002 Z3 Coupes currently for sale. Click on each to see the full description, links to the listing, additional photos and some of my comments. 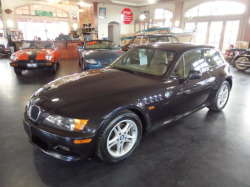 To see recently sold coupes, click here. To see the "status unknown" coupes, click here. 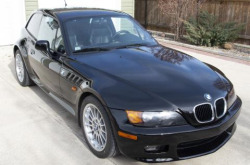 If you'd rather have the M version, check out M Coupe Buyers Guide. Garage Kept Rare Beauty. Will not find this model with fewer miles. Owner appreciates the value of this vehicle. 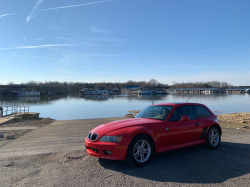 Selling a 2001 Classic BMW Z3 Coupe, 5 speed manual, 3.0L straight six, A/C, BBS staggered wheels, new black paint, fairly new red leather interior, new wool carpeting front and back, with low 107K miles, and everything works, except the stock radio. Listing at $12,995.